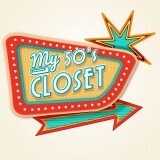 Vintage and re-modified clothing diverse and contemporary range the fashion. Combining true vintage pieces and original one-offs made from recycled vintage fabrics from all around the world, the collection features stand-out pieces from the 70’s to nowadays a range of dresses and accessories. Interior Secrets is a specialist importer of quality vintage furniture based in Melbourne, Australia. All our products are manufactured, under our supervision, in selected factories throughout the world. 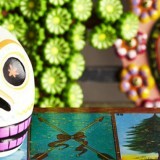 An Australian online store specialising in Kitsch, Kawaii, Rockabilly, Retro-themed Jewellery. A mix of vintage and vintage inspired pieces. Each month has a new vintage theme. Plus vintage inspired, kawaii & retro goodness to purchase. 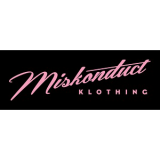 Miskonduct Klothing is the premier destination for vintage inspired fashion in Newcastle. 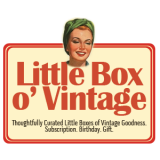 We carry some of the world’s leading brands in retro, vintage, pinup and rockabilly styles, as well as sourcing collections from boutique designers around the globe and right here in Australia. My Sister Pat designer label is Australia’s Sweetheart. Unabashedly 50’s fashioned her delectable array of traditionally rubber shirred swimwear & classic essentials undoubtedly flutter the heart. The alluring MSP collection is focused on uniqueness, as duplicates are intentionally very limited if not rare !